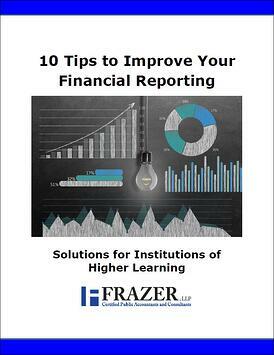 Financial reporting for your institution of higher learning is an immense responsibility. At Frazer, LLP we want to serve as a resource for you and your accounting team. The top five verification violations and what you can do about it. Calculating the return of Title IV funds. What to do if you receive a modified audit opinion. To download your complimentary copy, simply complete the form. Thank you.